The learning technology venture I picked is BLACKBOARD INC. I know probably that this will be done by several people, but the website is very comprehensive and professional. The current president and CEO of the company is Jay Bhatt. Founder: Jay Bhatt, also CEO. 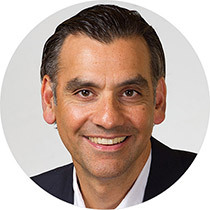 Title of Company: Blackboard Inc.
Jay Bhatt is the president and CEO of Blackboard, and directs the organization with the value proposition that education itself in the 21st century is changing and that the organization is shaping the future of education. It has a very simple proposition: moving forward through everyday learning. The corporation is solving the biggest problems in education by offering technologies and solution to advance learning, providing global access for all learners. The organization divides its products and services according to industry and level. It spans across four areas: Kindergarten to 12, Higher Education, Government and Business. Services and Products are offered in each of these areas. In the K-12 area, there are three types of service models that are offered: Teaching and Learning, Communications, and Partnerships. The teaching and learning area includes products such as the Common Core, Innovative Classroom, and Open Learning Solutions. The Communications area focuses on products such as Parental Engagement, K-12 Central and TipTxt. Lastly, the Partnerships includes several products to support learning needs by easily accessing networks of K-12 partners. The other areas, includes products for training talent and recruitment needs, consulting services, communication needs, and enrolment needs. They all slightly differ, but the company does sell quite a bit. The founder Jay Bhatt understanding how to grow software and technology, as he has held many businesses in the past developing into more mature corporation. Jay is also a teacher, and has a desire to build better educational experiences for everyone. He served as the president and CEO at Progress Software, and was also the Senior Vice President of global architecture, engineering, and construction solutions at Autodesk Inc. He has also worked as an investment banker and transactional attorney before joining buzzsaw.com. He holds a JD (Juris Doctor) degree from UCLA and a Bachelor of Arts from UPenn. Jay holds an impressive background, and from an educational perspective he seem to have strong credentials, however it does not necessitate success, nor does it mean that credentials make a person successful. They are there and it bolsters the application process. It mentions Jay is a former teacher, however he does not hold a Bachelor of Education, so I can draw the conclusion that he just had a passion to teacher after completing his law degree and decided to go in a completely different direction. From the bio, it seems that his passion is a strong driving force which is necessary for success. He exhibits the motivation to grow, and it seems that in his past experiences, he managed to learn as much as possible in holding various positions in different areas at Autodesk. Although his CV is not listed, I am assuming that he managed to either climb the corporate ladder, or start from the top in creating Progress software. He seems to understand business development, as he worked in the area before with Buzzsaw.com, and his law background definitely can assist in legal matters with business development. As he exudes the passion and drive in education and technology, it seems that he has the knowledge to run a company however his team would be responsible for continuous growth. His overall bio is comprehensive, and it seems that he is a well-rounded individual, necessary for success as an entrepreneur. Education is important but it is not a deciding factor in business growth. Many of the team members hold Bachelor level degree, but decided to work and develop their skills in industry. I suppose there are quite a few Senior Vice Presidents, so I wonder – who are the junior-level presidents? There are no figures as to how many people are employed in the company, and how many executives there are. What is interesting is that as I checked out what positions are available, I found that there are several product development/engineer type positions and sales positions (account manager/executive). Both can be stressful in my opinion! The team is composed of various Senior Vice Presidents managing various portfolios or sections of the company. There all belong to either three areas: Industry Solutions, Technology and Services, and Corporate. Within the Industry Solutions area, you have Maurice Heiblum and David Marr managing higher education, Mark Belles managing K-12, and Matthew Small managing the International area. Within the Technology area, there is Gary Lang in Product Development, Mark Strassman in Product and Industry Management, and Katie Blot in Professional Services. Finally in the legal area, you have Bill Davis in Finance, Denis Haselhorst in HR, Michael Bisignano in Legal, and Tracey Stout in Marketing. Many of these characters hold Bachelor degrees and some hold advanced degrees, but many indicate their experience level. I definitely value an equal combination of both, and most importantly personality is everything. How professional are these people in the workplace, and are they easy to work with? If you have a Vice President that is getting paid a few million a year salary, and they are awful people, you wonder how they got into that position. Next, are they effective managers, and are they good with people overall. This kind of information, you can’t get from the bio, but its critical to success in these kinds of positions. People will lack in certain areas, education, experience, knowledge, personality, but a healthy combination of these will guarantee success as an entrepreneur. His team members are more intrapreneurs, bringing their expertise to the company.